Best and Worst Diablo 3 Acts for Horadric Caches? I thought a post had a typo (or just someone who couldn’t use Roman Numerals), but the words back up the title. So… who runs act IV bounties? Not me, that’s for sure. Worst array of long “hunt the random elite/cursed shrine” or “kill the longest, drawn out boss battle with unavoidable cut scenes and dialogue” bounties. Toughest elite battles. Random prize pool at the end..now instead of that legendary you want being 1/5 or 1/7 or whatever, it’s one in 22. So, who runs act IV bounties…anyone? Grimiku: As some of the previous replies have pointed out Act IV is pretty fast, and a great way to gather Rift Fragments. As someone who is playing every class, though, I tend to hop on whatever character still needs specific items from Horadric Caches, and farm for those items until I’ve got enough Rift Fragments. I also think Act IV bounties are kind of refreshing after running a specific Act so many times. I thought the guy meant Act Five from the title, since that act is just laughably unloved. I see more people playing Story Mode than Act 5 in Adventure Mode. And not because A5 is lame, but because it has such giant levels that take forever to find the bounty targets in. I’ve spent more time running around trying to find the pathway to the Blood Marsh than it takes to clear all 5 bounties on Act One, if you get a good (no Spidarz!) array of bounties. To the OP’s comment… I run Act Four. And enjoy it. (Well, most of the time.) It’s got the easiest big exp value bounty in the whole game (The Hellrift) and the only really slow A4 bounty is Diablo, and that one seldom spawns. The Cursed Shrine ones are quick unless you guess really wrong, Rakanoth is very quick to reach, and all of the Act 4 levels are open layouts, so a character with movement skills can zoom through them quickly without wasting time in dead ends or maze-like dungeons. And you can get any Horadric Cache-only legendary from Act Four. Talking to HolyKnight today, he found a Ring of Royal Grandeur (db) from the A4 cache, which is pretty much hitting the lottery. Act One: Fastest, easiest, best reward object (RoRG). Hands down winner. Act Four: Second fastest Act to clear, only one really slow bounty (Diablo), chance of RoRG (or any other leg) from cache. Act Two: Numerous quick/easy bounties (with some very slow ones as well), and Gloves of Worship (db) are sought by some players. Act Three: Not many quick/easy bounties and several very long ones. No sought after Bag-only legendaries. Act Five: Lovely act, but giant levels with very slow bounties and no desired Cache legendaries. I could have easily switched Act 2 and Act 3 in the ratings, so consider them essentially tied for 3rd. Ironically, I do Act 3 more than any Act but 1, just since I enjoy a lot of the areas. But I don’t mistake my personal preference for law, especially when it’s a preference that only really manifests when I play a Demon Hunter. In the larger balance-needed picture, would you like to see some changes made to the Acts and Bounties? We talked about which Bounties everyone hates some weeks ago, but look at the risk/reward in the game today. It’s way out of whack. Can anyone argue that it’s fair that an A1 Bag is (almost) the only source of the the best legendary item in the game? What if the RoRG was an A5 bounty? I’d join the rest of you in hating that, but I couldn’t argue the fairness of the change. I can’t see Bliz switching the RoRG to Act 5 just out of the blue, but I do think they should do something to make Act Five worth bounty clearing. Double rewards? Double legendary drop rate from bags? Chance for A4-style any bag leg dropping? And what happened to some bigger reward for doing all 5 bounties in all 5 acts in the same game? That was a no-brainer feature when fans started suggesting it way back in the RoS beta test, and the only debate should be over the size/quality/type of the BOUNTY 25 bonus. So where it at? Diablo 3 Patch 2.0.6 Notes: No More Legendary Materials!? You pegged the order exactly right. I use my TR monk when I am just looking for more fragments, so it is about 10 minutes or so to do act 1 or act 4 depending on what pops. I also look at which acts have shard bonuses. 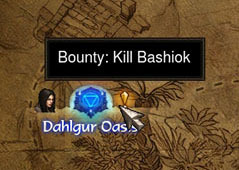 If people don't know, you can scroll over the bounty icon on the main map to see the targets for each act which is really useful when hunting certain bosses for materials. That way you don't have to look at each act map. Speeds up making new games as you look for the targets you need for the materials you are farming. plus you can make a new game if you don't want to run diablo in act 2 or other bosses. Sometimes blood shards drop from caches, which is a nice surprise. Just make them always drop from Act 5 caches. Clearing all the bounties in all acts should also net you a decent reward. I am running bounties in Act 5. Because I like act 5 and because I still have some exploration/achievements to do there. I do not really farm so the efficiency is not important for me. If I were to do act I repeadtedly, I would become bored very rapidly. I like Act 4 just to get keystones quicker but I have a small bone to pick with it. The Aspect of Whatever creatures drop nothing. If I remember well, they used to drop items at the very beginning, but Blizzard removed their drops after some people started to farm them for quick loot. Yet another case of "Why we can't have nice things". I've long thought the RoRG should be the reward for doing ubers. What if they expanded the RoRG idea? RoRG that comes with Crit from act 4, etc. Or ditch the 'Ring' part altogether and make a 'Cloak of Royal Grandeur' that comes from Act 3, etc. etc. It would open up new possibilities if your Royal Grandeur item was a chest or amulet or boots, etc. Maybe a shield to really try something different? Maltheal is also contributing to the problem. I can do all bounties in Act V on Torment IV, but when I need to kill Maltheal, I need to lower the difficulty to Torment II because he's just so damn though. The other act bosses aren't that much more difficult than the bounties in their acts. Agreed, I have thought that since beta. Why doesn't Blizz pay us to make actual good decisions? They could modify the cache to combine the loot of all completed acts and increase the quantity of the loot as well as the odds at legendaries for each completed act. So for example if you complete act 1 and 2 you speak to Tyrael and he gives you one cache that drops the combined loot from those two acts with 10% more gold/shards/keys and 100% more chance at a cache legendary. If you complete act 1-2-4 it would be 30% and 300%. And if you complete all five acts you get an additional bonus for 50% and 500%. I used those numbers as an example, I don't know what amount would incentivize completing more, or all, acts rather than repeating A1 whitout T1 split farming the 5 acts overshadowing rifts altogether. I have that down as a discussion topic for the next podcast (which keeps getting postponed since everyone's on summer vacay). I can't see bliz turning off their HR stuff, but maybe you could enchant an unwanted HR (plus some huge stacks of materials) into a RoRG, or to some random leg ring, with a chance at RoRG? As it is, the Infernal Machine is almost a wasted feature in RoS. Too many steps to create it, not enough quality of the item, and people don't even seem to really focus on +exp anymore, now that P100 isn't an ongoing goal. I would not like to see RORG become the prize for ubers. Being able to get it from bounty reward is a good idea as it lets the casual player get into crafting and having better items without hours of play and having to fight higher level bosses to get a higher drop %. being able to get that item fro doing normal bounties lets those players into the better gear combos quicker and they/us play the game longer. I agree HR and uber needs changing but don't tie it to the RORG. A concern is that most players will lobby to make item hunting easier and easier and if they get what they want, it can make the game unfun. That's the danger when we start fielding complaints about one bounty being longer than the other. The fight against homogenization is real. We don't want everything to be uniform and easy because that is boring. I think D2 really got it right when it came to avoiding this issue. You had different things to try to collect. If you wanted general equipment, you ran hell ball. If you wanted runes, you did hellforge runs or countess runs or LK chest runs. If you wanted special items like an anni or torch, you had completely different runs for that. And no-one compared baal runs to hellforge runs and said one was too long and we needed to shorten the tim because they were completely different things. One thing that would make a positive change for A5 bounties concerning killing unique monsters in westmarch/heights is to lower the total amount of other monsters you need to kill. There are many empty areas and getting to 100 can take a while. In A3(particularly arreat crater) you get a killcount on 100 or less and killing scorpions builds up that number fast! Personally, I just run I, II, III, IV bounty runs with keywardens every time, and when I am done, I do few rift runs.